Start your Superhero birthday party off with a POW! BIFF! BAM! with my Superhero Party Printables. Is your spidey sense tingling? This collection features your Superhero Invitations, Favor Tags, Lollipop Capes & Masks, Superpower Pill Labels, a large 36×24 inch Superhero Backdrop plus LOADS more printable decorations! 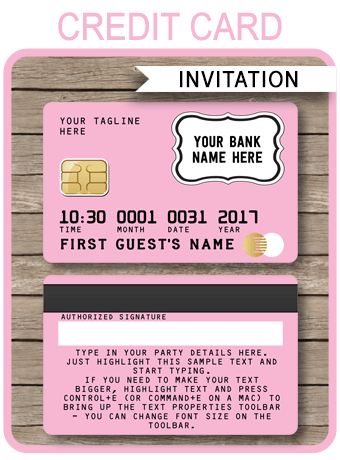 Instantly download and personalize the templates at home using the editable text feature. Just open them in Adobe Reader and type over my sample text. Buy once, then edit & print as many times as you like. Download links to the Superhero Party Printables will be emailed directly to your inbox. Download your Superhero Party Printables immediately after your payment has been processed. Open them in Adobe Reader and simply type over my sample text. Templates ONLY work in the FREE Adobe Reader on your laptop or computer, not in any other program (or on your mobile device). Print as many times as you like on your home color printer (or at your local copy shop) on US Letter or A4 sized bright white Cardstock. See my recommended copy shops and printing tips. The Bonus Large Backdrop will need to be printed at a copy shop. Trim/cut out your Superhero Party Printables on the provided cut lines using scissors, a craft knife or paper trimmer. Some designs may need assembling. YES – email or save to a USB and take to your local copy shop.